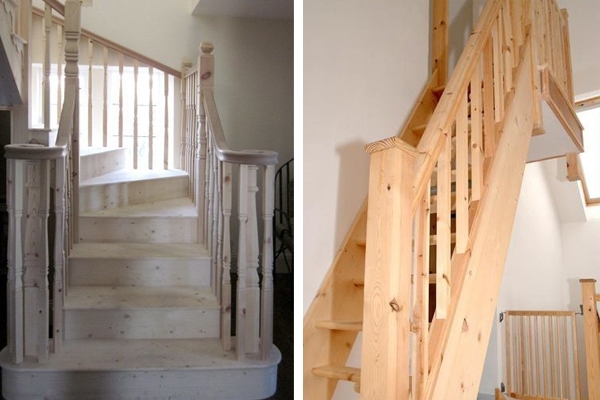 If you’re just getting started on planning a staircase renovation for your home, congratulations! This is a really exciting time. One of the first things you’ll need to decide is something that will really help your new fixture come to life in your imagination, and that’s the type of wood you’ll be using. 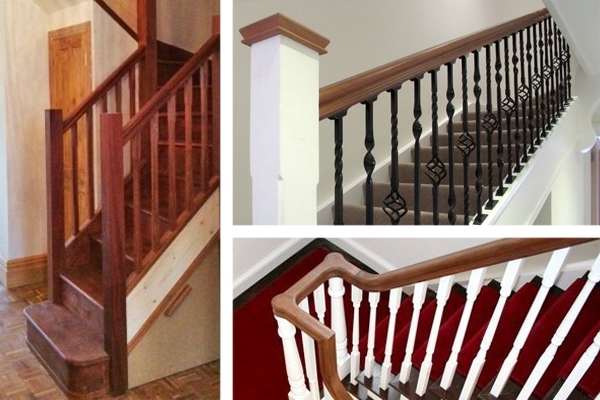 The experts here at Pear Stairs have picked out some of their favourites to get you started. A hardwood, Ash wood is strong, durable and generally light in colour. The grain is nice and straight, so it’s a good choice if you’re interested in a sharp look for your balustrades and steps. It’s really easy and straightforward to use in woodworking - whether by hand or machine - and stains or finishes very nicely, without any fuss. 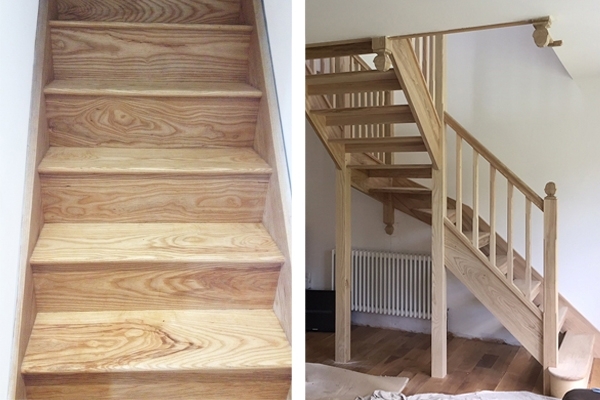 Ash is a great compromise if your budget can’t stretch to oak stairs but you want the strength of a hardwood. You can be sure that the wood is also fairly sustainable, as it’s not cited in the CITES Appendices (this stands for Convention on International Trade in Endangered Species of Wild Fauna and Flora). Hemlock is a softwood and comes in a lovely warm, pinkish colour. It offers lovely decorative effects, as the grain is generally straight - but often comes with occasional interlocking or spiralling for instances of great character. It’s also pretty easy to work, though it is liable to splinter if it isn’t treated with due care. However, it glues, stains, varnishes and finishes perfectly. It doesn’t feature in the CITES Appendices, so, for now, it’s considered quite sustainable. This is a particularly attractive hardwood, which comes in beautiful golden to dark red-brown for those who like their fittings a richer shade. It has a straight, uniform “ribboned” grain for a sharp finish. Sapele is a very durable wood that is best worked by hand for optimum effect. It turns, glues, and finishes wonderfully. It is often used as an alternative to mahogany due to its colouring. As it is not listed in the CITES Appendices, it can still be considered sustainable. A softwood, pine is a brilliant golden yellow colour or whitish with brown knots and is exceptionally popular for use in furniture and household fittings due to the great ease with which it can be worked and finished. It’s also great to treat, paint or varnish, as it is more porous and so the grain can easily absorb various finishes. Pine is one of the most sustainable woods you can select, as it is a conifer - and these can be grown extremely quickly. Pine is a knotty timber that gives it a pleasant rustic look, ideal for farmhouse styles. It’s a lightweight and inexpensive timber, but as it’s softwood it is prone to denting and scratches. Oak is one of the most popular hardwood timbers used in construction and has been for hundreds of years. We stock US white oak which has a wonderfully straight grain patterned with lovely alternating dark and light. White oak is very sturdy, strong and durable - so much so that it’s often used in boat building due to its rot resistance. Oak is very easy to steam bend, and can be worked beautifully either by hand or machine, as well as being great to finish. 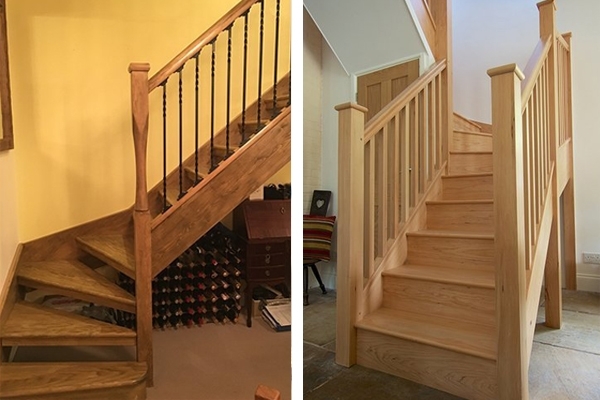 It’s usually best to use a clear finish on oak because the natural look of this high-end timber is very appealing and staining can sometimes overly darken the grain. As with the other woods on this list, Oak does not appear in the CITES Appendices. 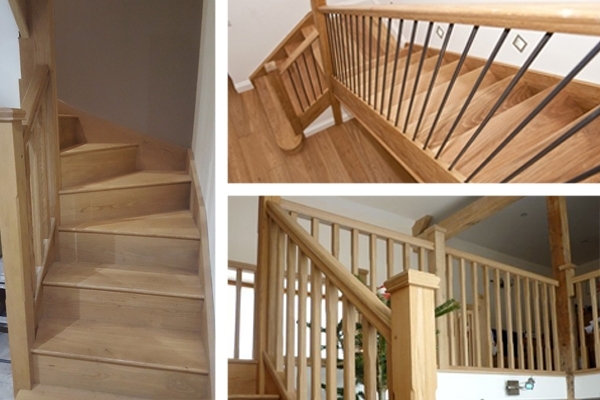 For more information about staircase parts and the materials we use, just call us today on 01938 553311 or email us at webenquiries.pearstairs.co.uk.